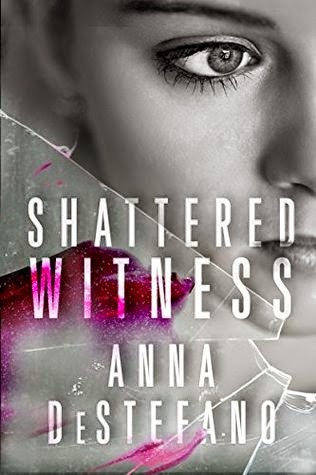 This is the first book I've read by Anna DeStefano. The book cover initially drew me to it and as I started reading I got caught up in the story. Shaw Cassidy is the CEO of her family business but she was attacked which left her with amnesia. She was accused of treason but because she's lost her memories she couldn't prove her innocence. She was advised to retreat to her grandmother's mansion in the mountains to recover and recuperate. Enter Cole Marinos who is Shaw's ex-lover and an FBI agent. He was called to this task due to their history. He would monitor and protect Shaw without her knowing, until one day she freaked out and ran out of the mansion and Cole then made his presence known to Shaw. What happened over the next 2 days since their encounter helped Shaw bring back a lot of her memories that no other agents or Doctor could. Even though Shaw couldn't remember Cole, her heart and body remembered and they fell for each other uncontrollably. All while this was happening, the villain of the story continued tormenting Shaw. It was pretty easy to guess early on who he is. All in all, this was a satisfying read with a happy ending. My favourite parts of the book were when Shaw and Cole were drawn into each other and what they have together is very real and bold. Good read! This sounds super interesting! I'm going to have to read this!